This far I have decoupaged two plastic boxes for sewing and one wood box. These were just simple white plastic boxes for storing sewing supplies, such as needles, yarn, etc. This is the smaller box. I have used spring flower napkin to decoupage it. Here is the second and larger decoupaged plastic box. I used lily pattern for it. Here is how I started this easy DIY project. As you may see, I have started to repaint the box here. It does not look good at first. 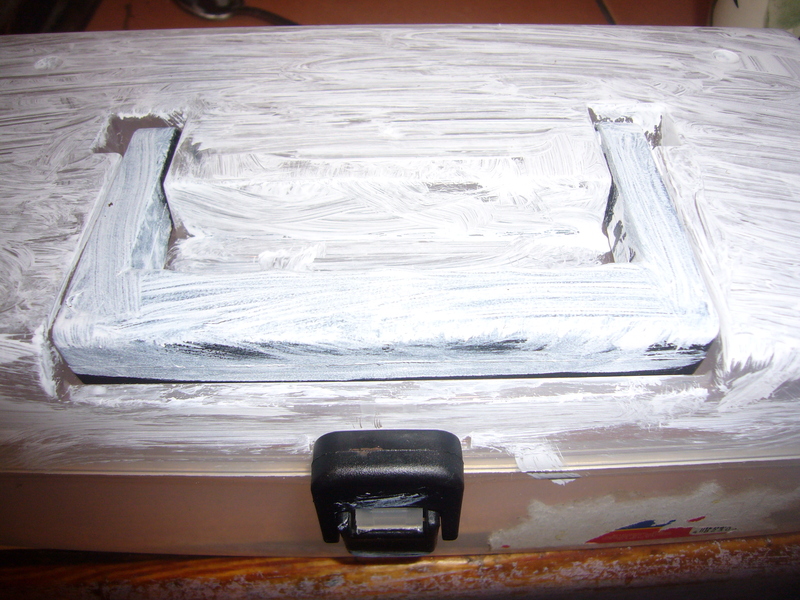 I tried to use sandpaper to help the paint stick better to the box, but it wasn’t needed. 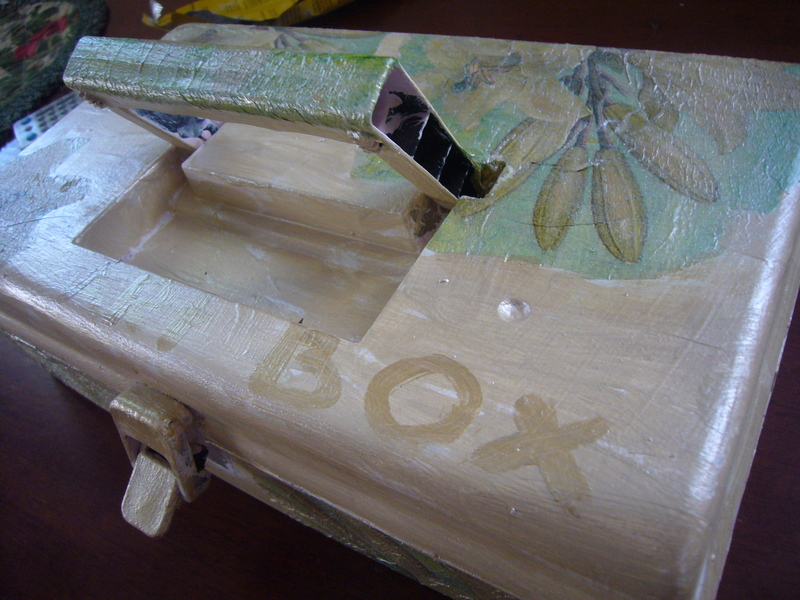 Once the paint get dried up, I decoupaged the box and covered it up with more polish. Here is the second and larger decoupaged plastic box. 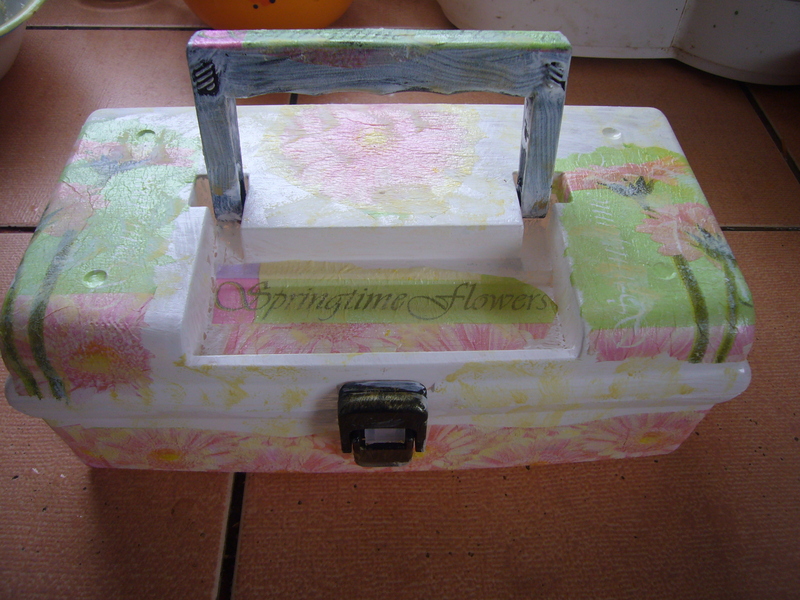 This entry was posted in Crafting Tutorials, Decoupage ideas, Uncategorized and tagged busy mom, crafts, creative tips, creativity, decoupage, decoupage how to, decoupage step by step, decoupage tips, DIY, glass decoupage, green living, handmade, home decor, plastic box decoupage, upcycling. Bookmark the permalink.